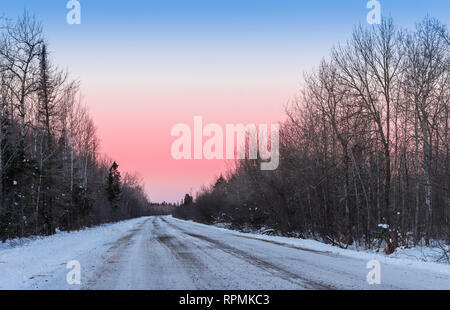 Colorful sky in a winter morning on a icy road in the Sax-Zim Bog, a natural bog and forest in northern Minnesota. 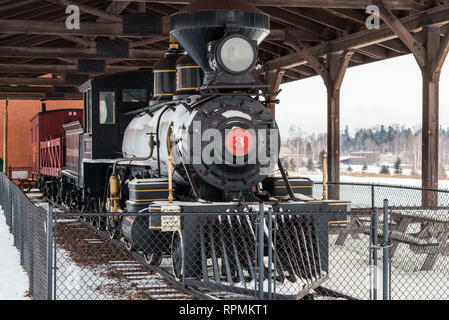 Duluth, Minnesota, USA. 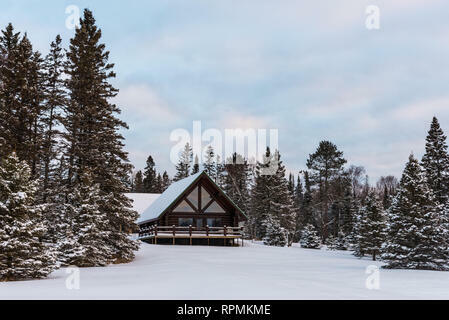 A wooden cabin in snow covered pine forest. 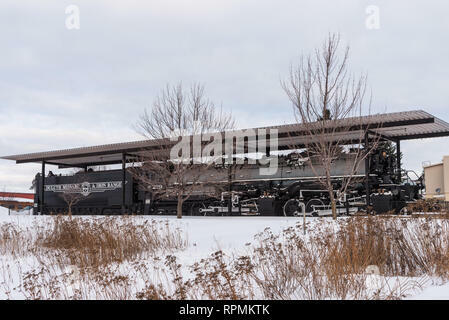 Duluth, Minnesota, USA. 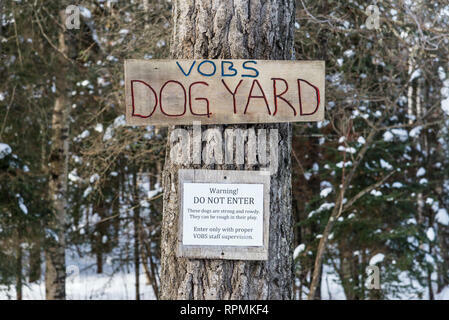 A wooden 'Dog Yard' and 'Do Not Enter' warning signs nailed on a tree. 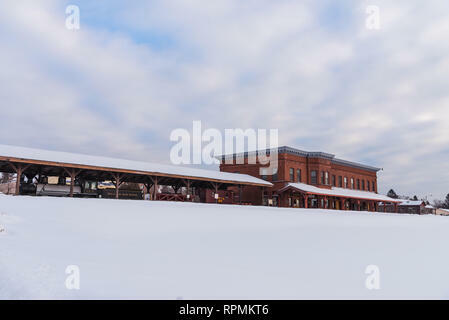 Duluth, Minnesota, USA. 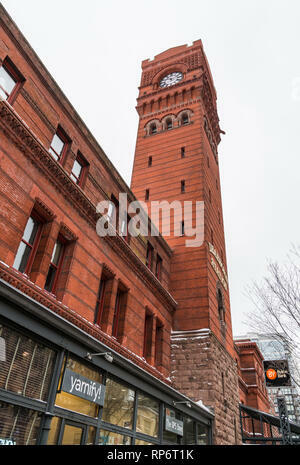 Historic red-brick building of Duluth Iron Range. 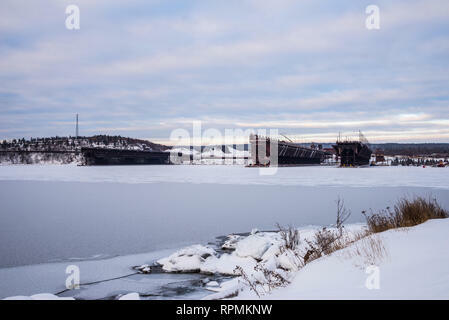 Two Harbors, Minnesota, USA. 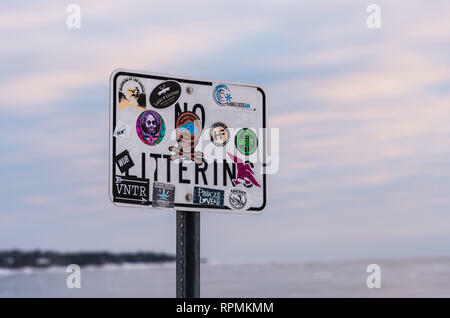 A 'No Littering' sign covered by colorful stickers. Duluth, Minnesota, USA. 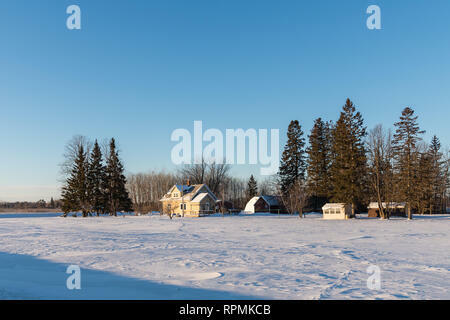 Houses and trees in a snow covered field. Duluth, Minnesota, USA. 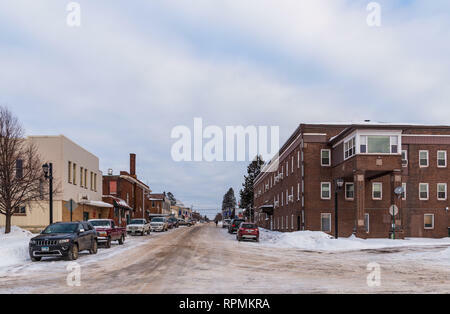 Snow covered street of Two Harbors, Minnesota, USA. 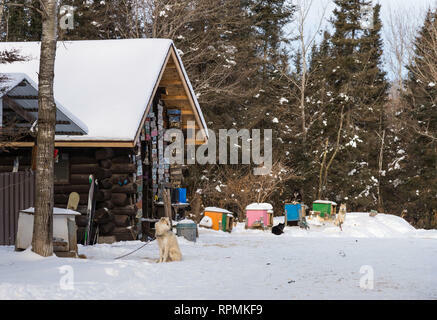 Sledge dogs in front of a snow-covered wooden cabin. Duluth, Minnesota, USA. 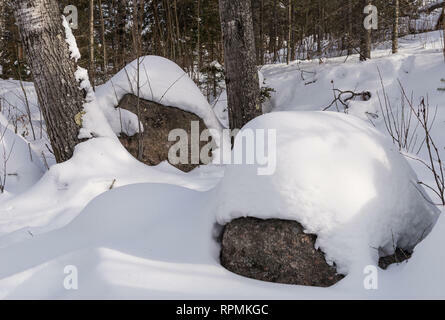 Glacial erratic, giant granite boulders covered under snow. Duluth, Minnesota, USA. 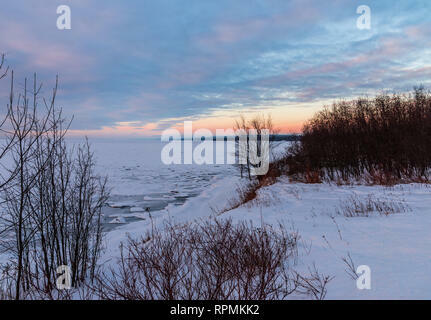 Ice covered shore of Lake Superior. Duluth, Minnesota, USA. 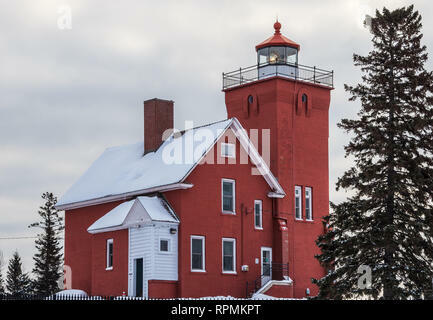 Red-brick building of the historic Lighthouse by Lake Superior. Two Harbors, Minnesota, USA. 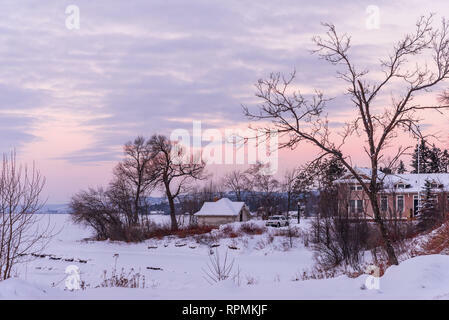 Colorful clouds at sunrise on icy shore of the Lake Superior in winter. Duluth, Minnesota, USA. 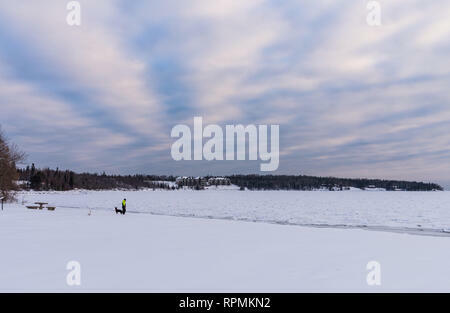 A man walking his dog along the shore of icy Lake Superior. 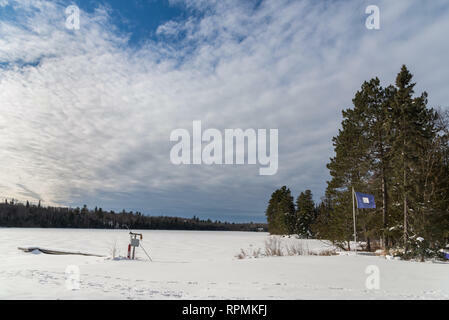 Two Harbors, Minnesota, USA. 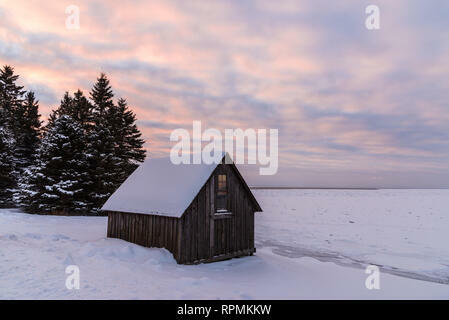 Snow-covered wooden cabin on the shore of icy Lake Superior. Duluth, Minnesota, USA. 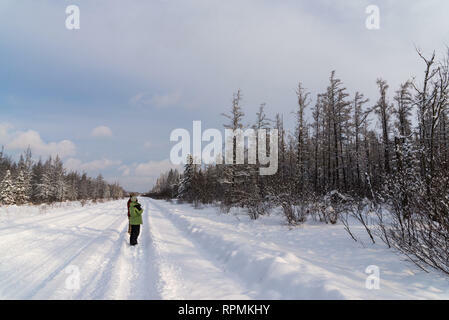 A man and a woman birding on a snow covered road in a cold winter day. Duluth, Minnesota, USA. 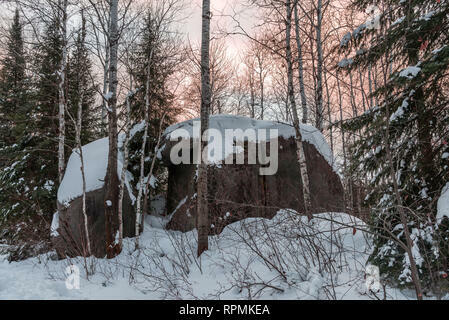 Panoramic view of snow-covered road at the Sax-Zim Bog. 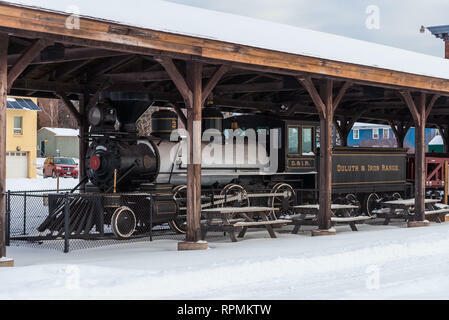 Duluth, Minnesota, USA. 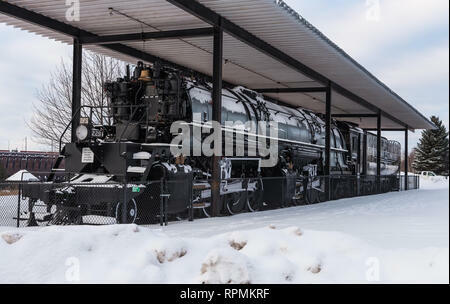 Locomotive at Duluth Iron Range. 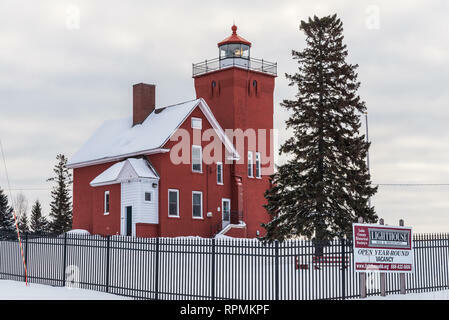 Two Harbors, Minnesota, USA. 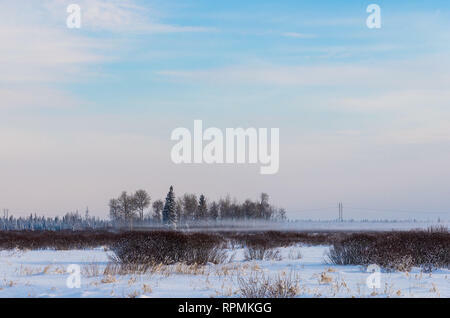 Morning fog in a wide-open field in winter. Duluth, Minnesota, USA. 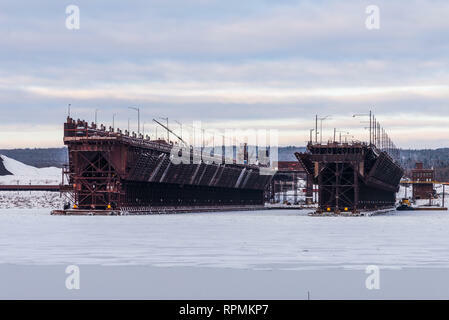 Iron ore dock at Two Harbors, Minnesota, USA. 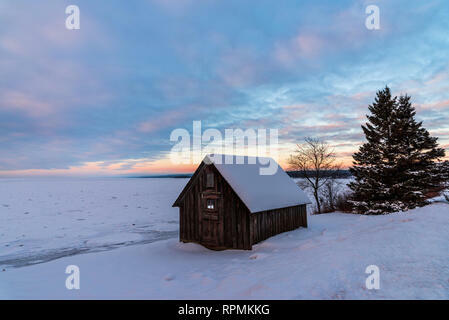 A lake-front house by icy shore of Lake Superior in winter. Duluth, Minnesota, USA. 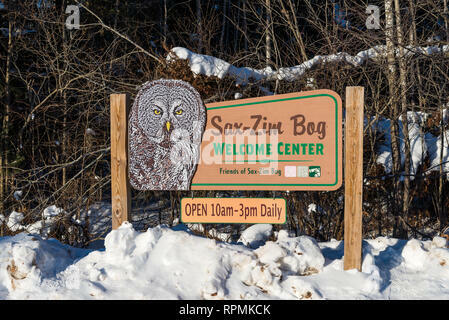 A Great-grey Owl decorates the sign to the Sax-Zim Bog, a natural bog and forest in northern Minnesota. Duluth, Minnesota, USA. 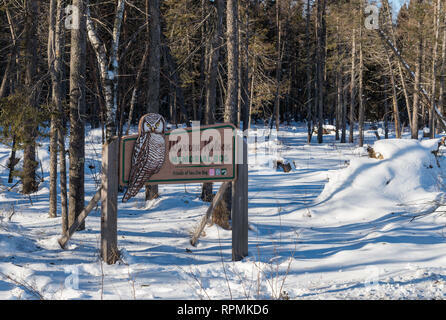 Sign for the Warren Nelson Memorial Bog at the Sax-Zim Bog, a natural bog and forest in northern Minnesota. Duluth, Minnesota, USA. 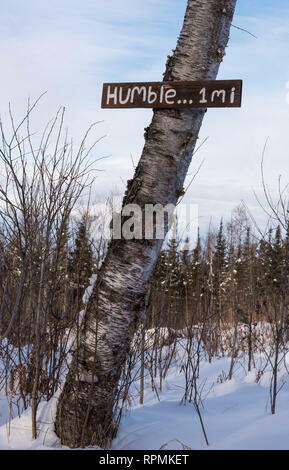 A wooden sign nailed to a tree trunk directing to Humble. Duluth, Minnesota, USA. 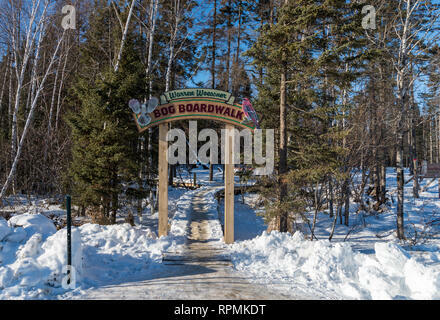 Entrance to the Warren Woessner boardwalk at the Sax-Zim Bog, a natural bog and forest in northern Minnesota. Duluth, Minnesota, USA. 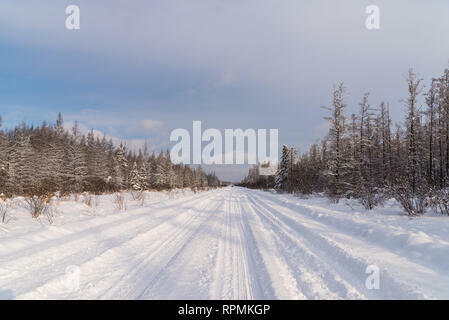 Snow-covered road at the Sax-Zim Bog. Duluth, Minnesota, USA. 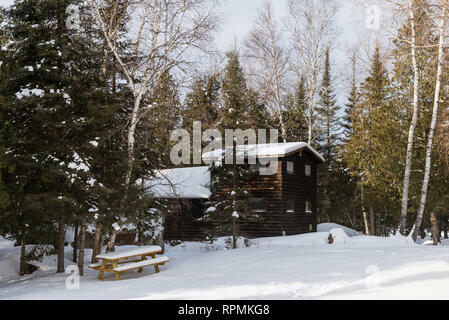 A snow-covered wooden cabin in pine forest. Duluth, Minnesota, USA. 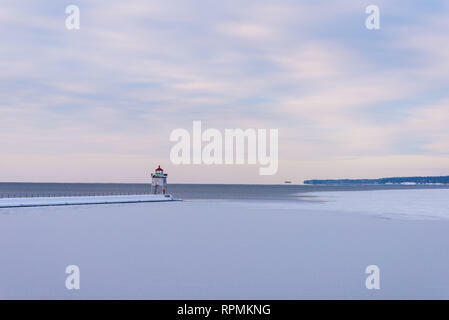 Lighthouse by the icy Lake Superior. 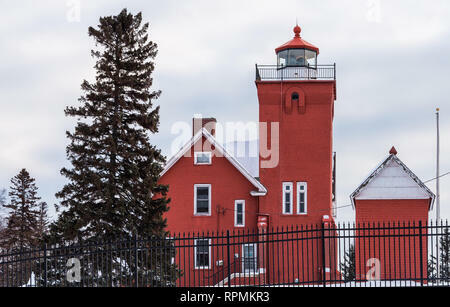 Two Harbors, Minnesota, USA. 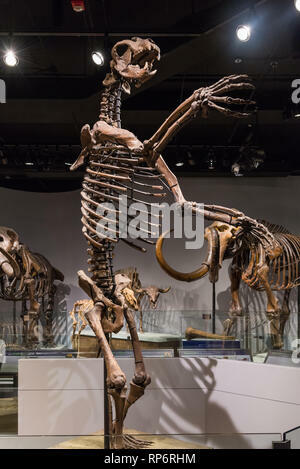 Fossil skeleton of a Giant Ground Sloth (Megatherium americanum). 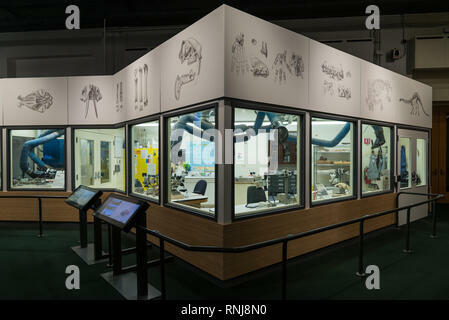 Mammals of Ice Age exhibit. The Field Museum. Chicago, Illinois, USA. 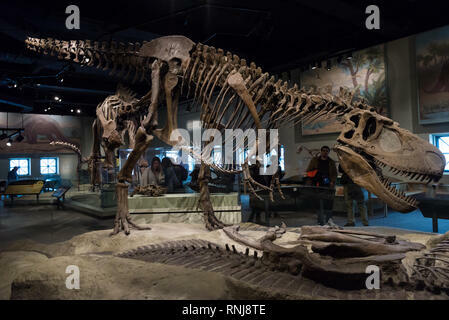 Fossil skeleton of the famous 'Sue' the T. Rex in display. The Field Museum. Chicago, Illinois, USA. 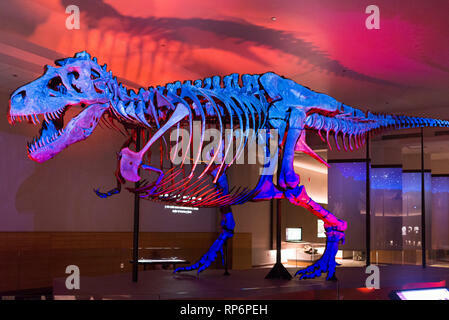 Fossil skeleton of the famous 'Sue' the T. Rex in display under colorful lighting. The Field Museum. Chicago, Illinois, USA. 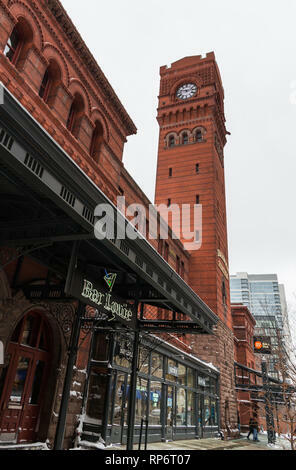 The clock tower on the Dearborn Station, a signature red brick building in downtown Chicago, Illinois, USA. 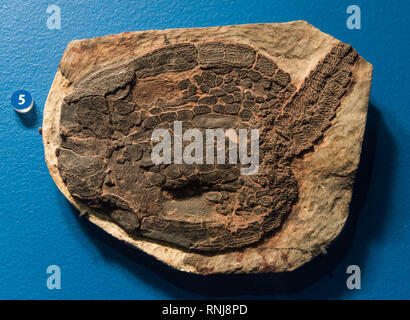 Fossil of a crocodile. 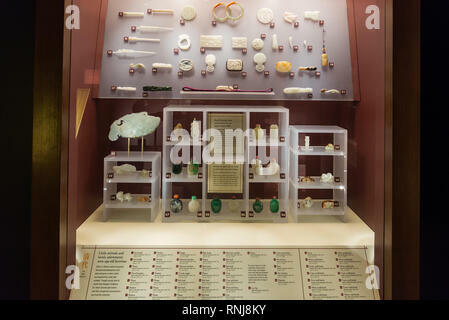 The Field Museum. Chicago, Illinois, USA. 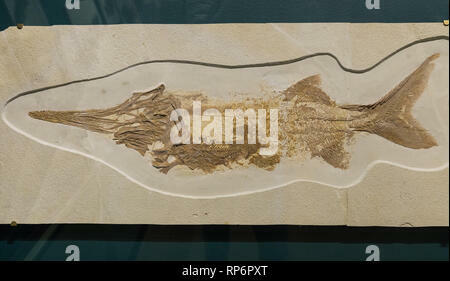 Fossil Spiny-finned Fish (Mioplosus labracoides) eating a Herring (Knightia eocaena). 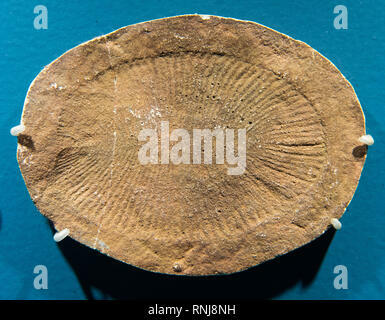 Eocene age. 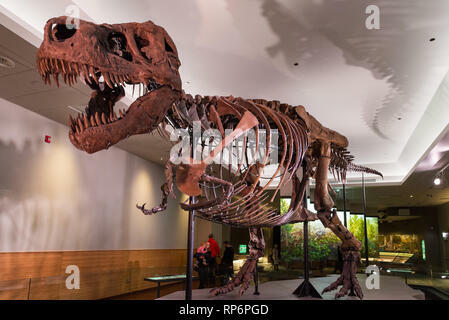 The Field Museum. Chicago, Illinois, USA. 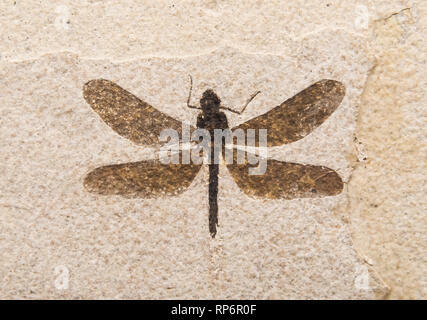 Fossil imprint of a dragonfly. 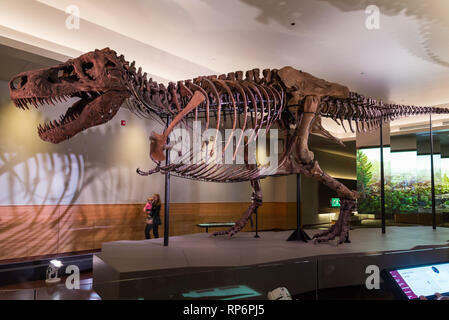 The Field Museum. Chicago, Illinois, USA. 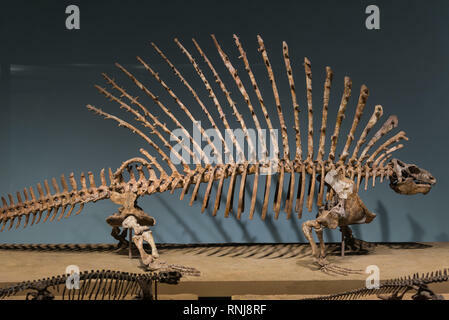 Fossil skeletons of an extinct Pleistocene Short-faced Beer (Arctodus sp.). Mammals of Ice Age exhibit. The Field Museum. Chicago, Illinois, USA. 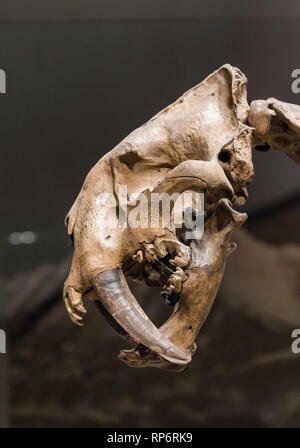 Fossil skull with long maxillary canine teeth of a Saber-toothed Cat Smilodon. Mammals of Ice Age exhibit. The Field Museum. Chicago, Illinois, USA. 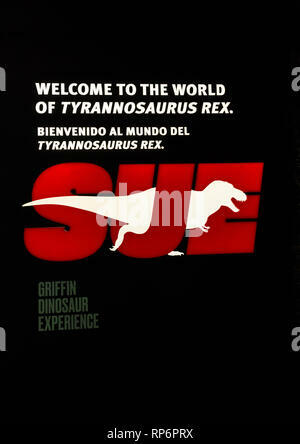 Sign at the entrance of the famous 'Sue' the T. Rex exhibit. The Field Museum. Chicago, Illinois, USA. 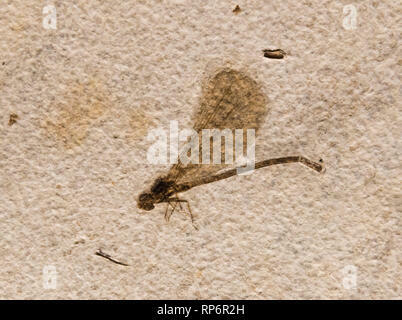 Fossil imprint of a damselfly. The Field Museum. Chicago, Illinois, USA. 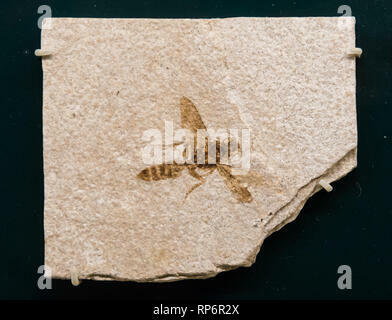 Fossil imprint of a bee. The Field Museum. Chicago, Illinois, USA. 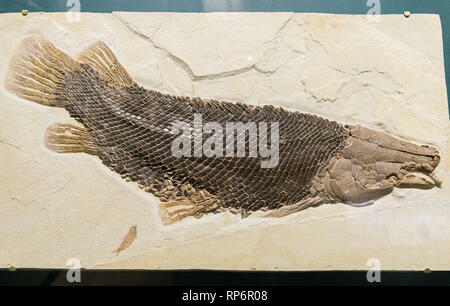 Fossil Gar fish (Lepisosteus simplex) with well preserved scales. Eocene age. The Field Museum. Chicago, Illinois, USA. 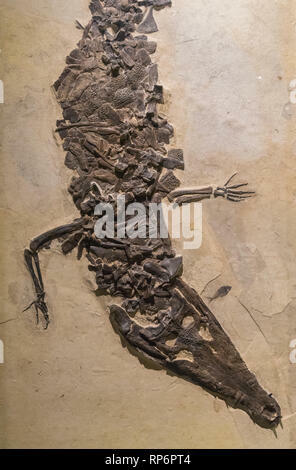 Fossil of a Paddlefish (Crossopholis magnicaudatus) with another fish in its stomach. 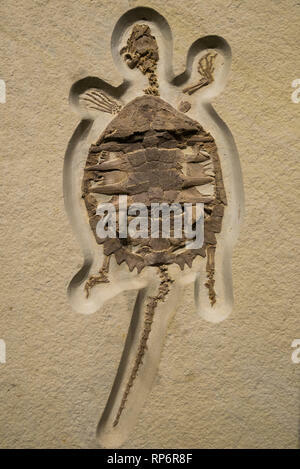 Eocene age. The Field Museum. Chicago, Illinois, USA. 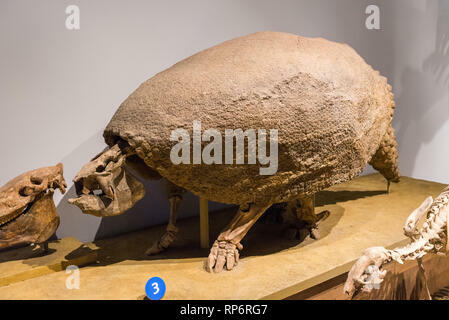 Fossil skeleton of an extinct Glyptodont from South America. Mammals of Ice Age exhibit. The Field Museum. Chicago, Illinois, USA. 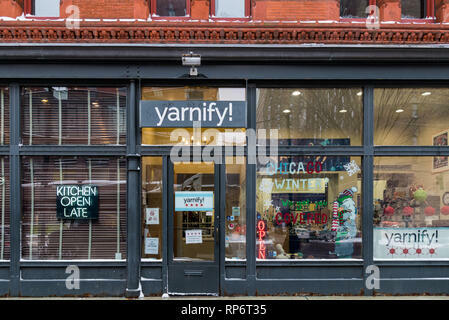 A store front on the street of downtown Chicago, Illinois, USA. 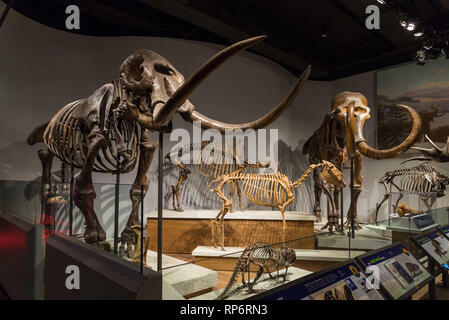 Fossil skeletons of Mastodon and woolly mammoth. 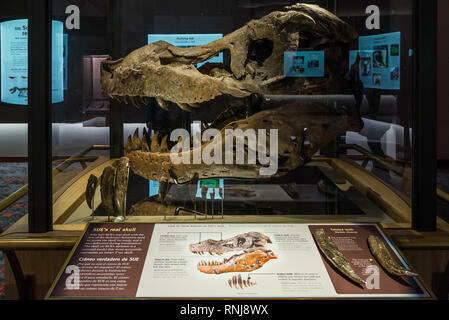 Mammals of Ice Age exhibit. The Field Museum. Chicago, Illinois, USA. 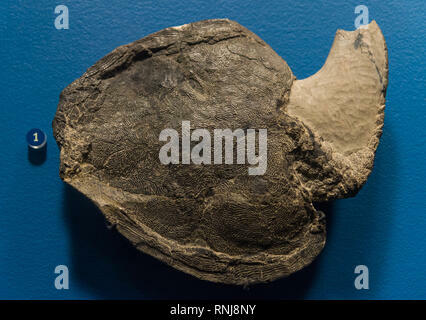 Fossil Soft-shelled Turtle (Plastomenus sp.) 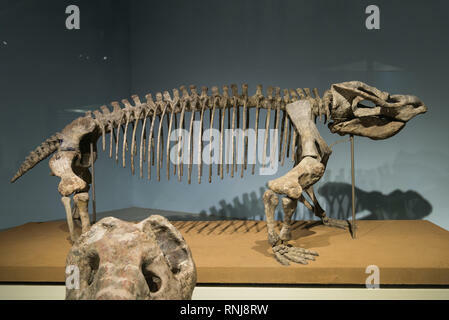 of Eocene age. The Field Museum. Chicago, Illinois, USA. 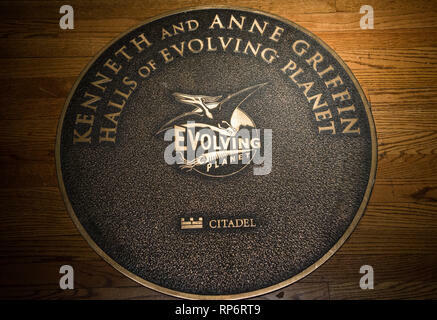 The brass medallion at the Kenneth and Anne Griffin Hall of Evolving Planet exhibit. The Field Museum. Chicago, Illinois, USA. 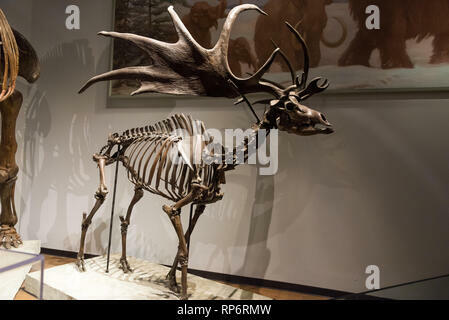 Fossil skeleton of an extinct Pleistocene Irish Elk (Megaloceros giganteus). Mammals of Ice Age exhibit. The Field Museum. Chicago, Illinois, USA. 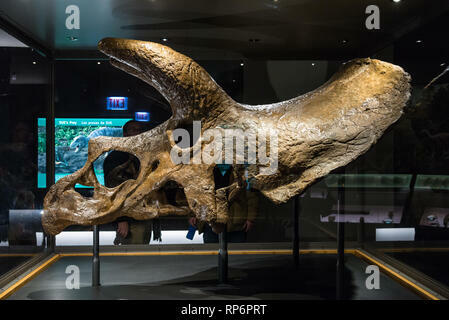 Fossil skull of a Triceratops in display. The Field Museum. Chicago, Illinois, USA. 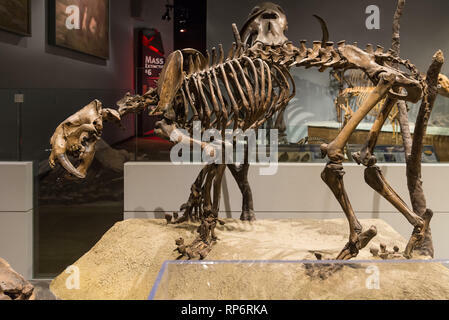 Fossil skeleton of a Saber-toothed Cat Smilodon. Mammals of Ice Age exhibit. The Field Museum. Chicago, Illinois, USA. 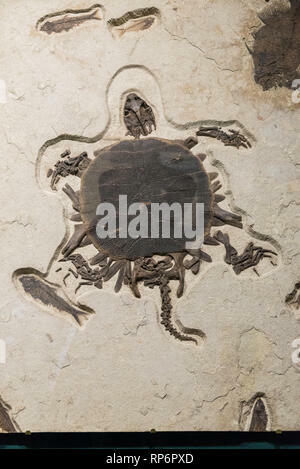 Fossil of a soft-shell turtle with other fish. The Field Museum. Chicago, Illinois, USA. 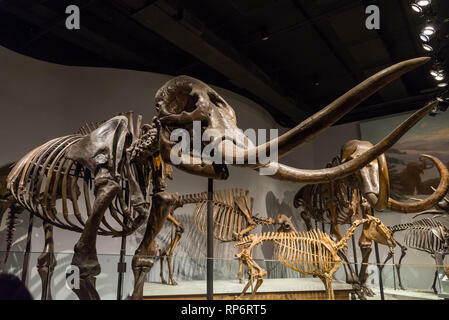 Fossil skeleton of Mastodon. 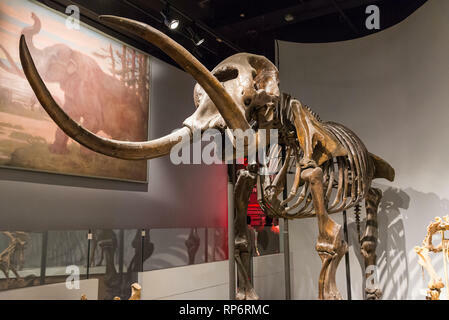 Mammals of Ice Age exhibit. The Field Museum. Chicago, Illinois, USA. 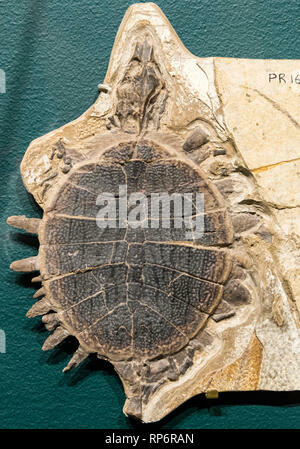 Fossil turtle of Eocene age. The Field Museum. Chicago, Illinois, USA. 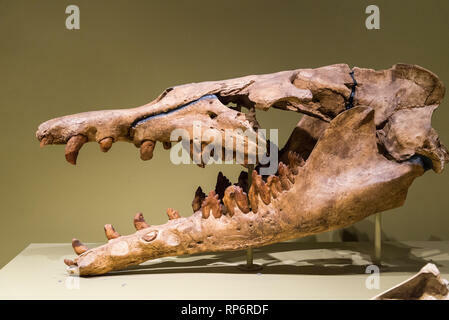 Fossil skull of an ancestor whale Basilosaurus of Eocene age. 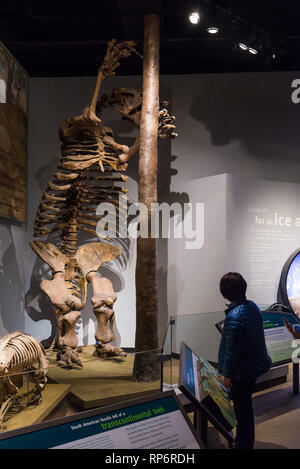 Mammals of Ice Age exhibit. 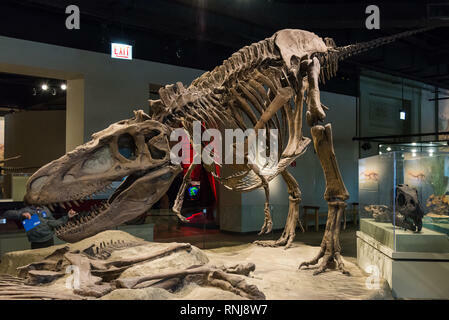 The Field Museum. Chicago, Illinois, USA. 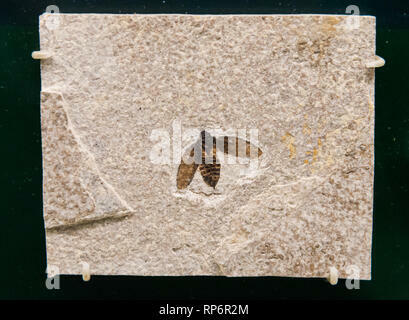 Fossil imprint of a wasp. The Field Museum. Chicago, Illinois, USA. 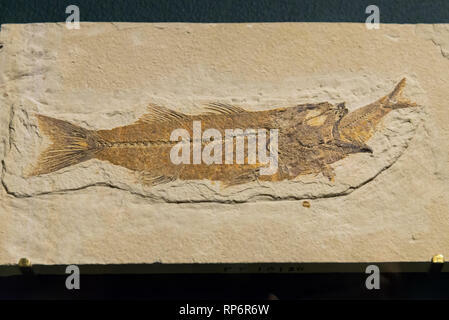 Fossil fish (Diplomystus dentatus) eating a Herring (Knightia eocaena). Eocene age. 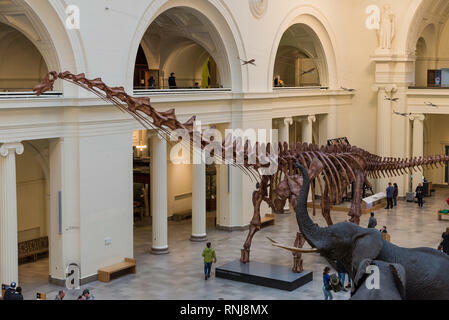 The Field Museum. Chicago, Illinois, USA. 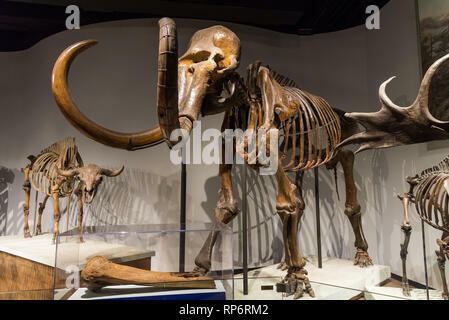 Fossil skeletons of a Woolly Mammoth (Mammuthus primigenius). Mammals of Ice Age exhibit. The Field Museum. Chicago, Illinois, USA. 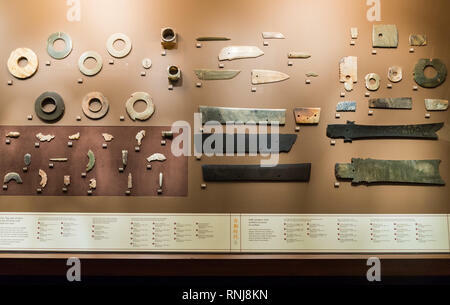 Jade artifacts in display. The Field Museum, Chicago, Illinois, USA. 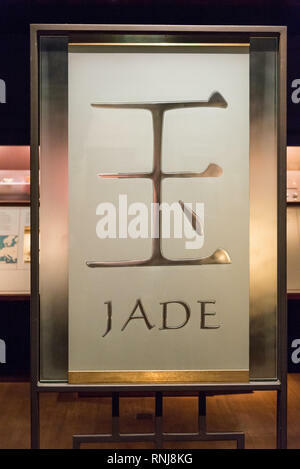 Display of jade sign with Chinese character and English. The Field Museum, Chicago, Illinois, USA. 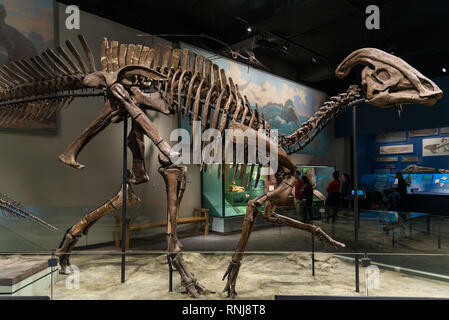 Fossil skeleton of a duck-billed dinosaur Hadrosaurus in display. The Field Museum, Chicago, Illinois, USA. 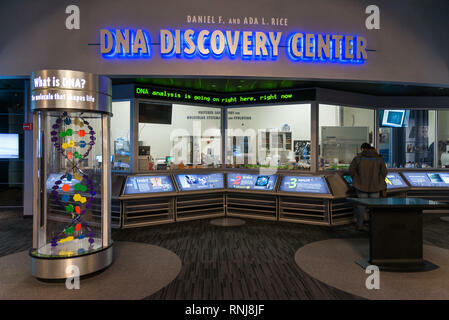 The DNA Discovery Center, a state-of-the-art DNA research laboratory at the Field Museum, Chicago, Illinois, USA. 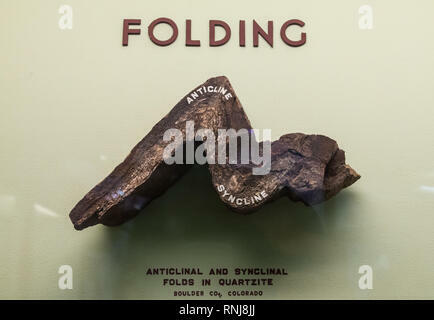 A specimen of a folded rock. The Field Museum, Chicago, Illinois, USA. 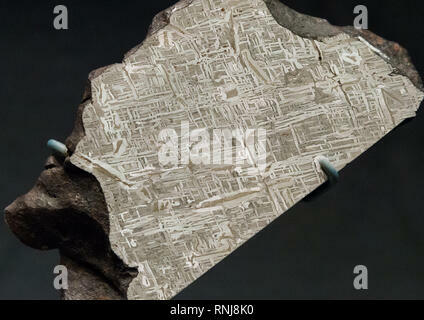 Cross section of a folded rock specimen. The Field Museum, Chicago, Illinois, USA. 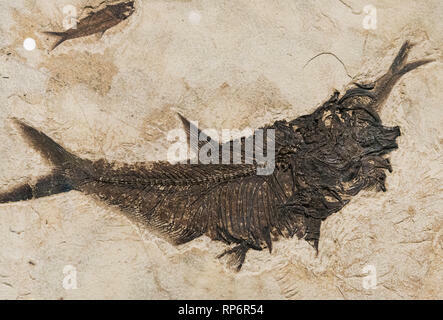 Fossil fish. The Field Museum, Chicago, Illinois, USA. 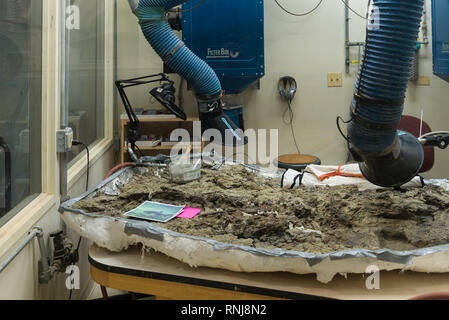 Fossil preparation workshop. The Field Museum, Chicago, Illinois, USA. 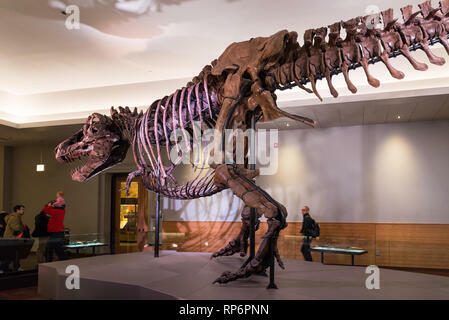 Fossil skeleton of Máximo Titanosaur Patagotitan mayorum, the largest dinosaur ever found, in display. The Field Museum, Chicago, Illinois, USA. 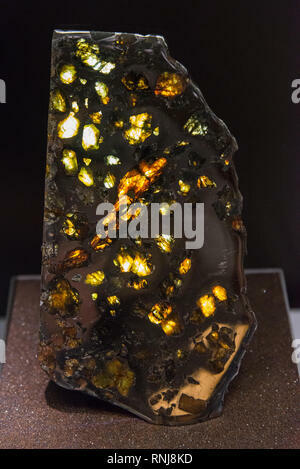 Cross section of a Stony-iron meteorite. The Field Museum, Chicago, Illinois, USA. 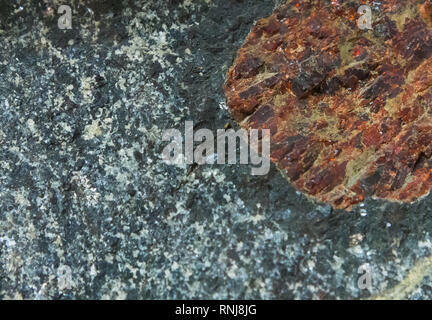 Gore Mountain garnet, giant garnet crystal surrounded by hornblende rim. The Field Museum, Chicago, Illinois, USA. 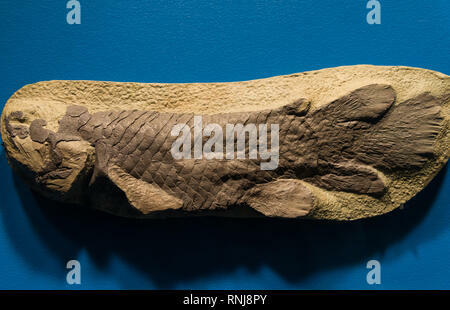 A fossil fish. The Field Museum, Chicago, Illinois, USA. 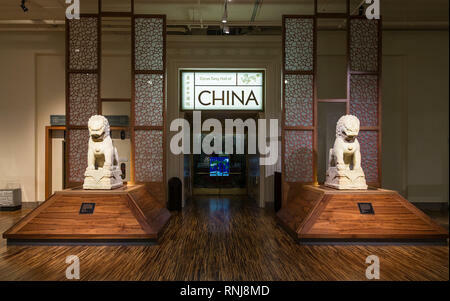 Entrance to the Cyrus Tang Hall of China. The Field Museum, Chicago, Illinois, USA. 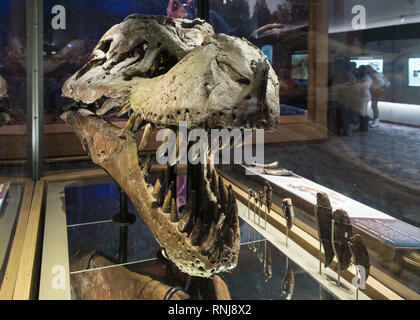 Head of Tyrannosaurus rex in display. The Field Museum, Chicago, Illinois, USA. The Field Museum, Chicago, Illinois, USA. 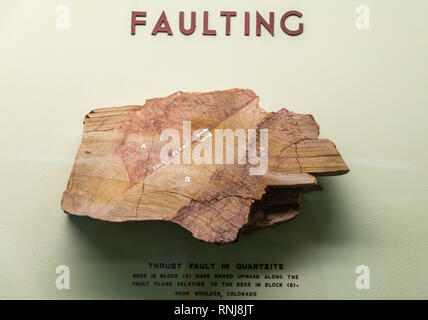 A specimen showing reverse fault in a sandstone rock. The Field Museum, Chicago, Illinois, USA. 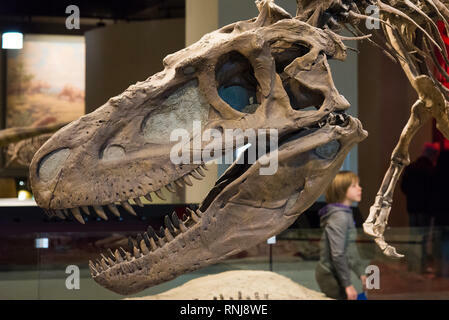 The real fossil skull of famous 'Sue' the T. Rex in display. The Field Museum, Chicago, Illinois, USA. 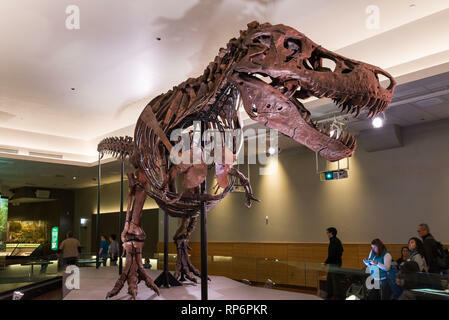 Skeleton of Tyrannosaurus rex in display. The Field Museum, Chicago, Illinois, USA. 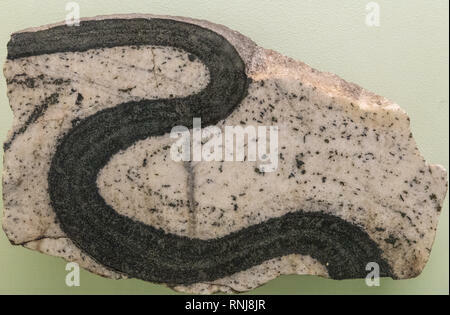 Fossil imprint of a soft-body animal of Precambrian age. The Field Museum, Chicago, Illinois, USA. 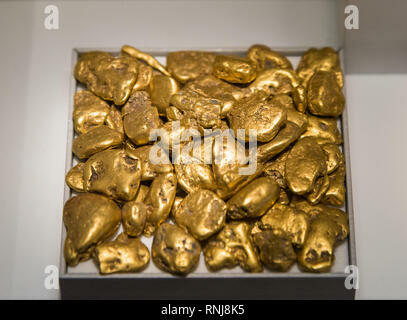 Gold nuggets. The Field Museum, Chicago, Illinois, USA. 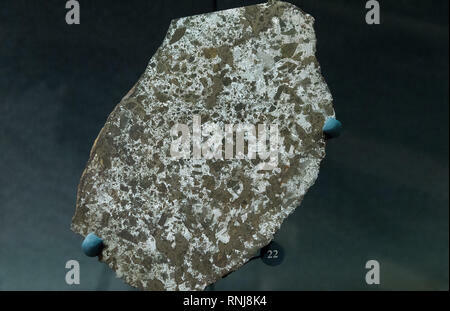 Cross section of an Iron meteorite showing pattern in its structure. The Field Museum, Chicago, Illinois, USA. 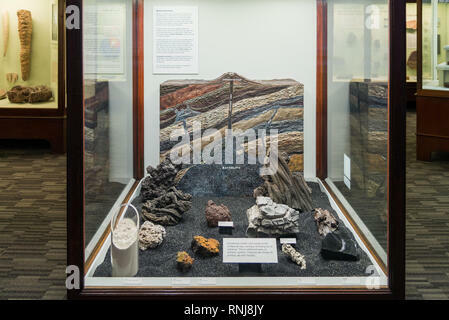 A display model illustrates the formation of volcano and igneous rocks such as granite. The Field Museum, Chicago, Illinois, USA.